Our staff at West Loop Eye Care is dedicated to your health and wellness. We know that good eye care is more than helping you choose the right frames or contact lenses. While vision correction is a big focus of many eye doctors in Chicago, we also understand the importance of protecting your health to prevent and treat common eye diseases. Whether you need new eyeglasses or you are looking for solutions to prevent vision loss, we are here to assist. Our convenient office offers everything from comprehensive eye exams to designer eyeglasses and more. We’re focused on your satisfaction, ensuring that our full range of services offers complete services for every member of your family. Dr. Nelly has spent the last 20 years living in the Chicagoland area. Providing high-quality, comprehensive eye care is her priority. At the same time, Nelly enjoys helping patients achieve a fashionable look with trendy frames. She believes in individualizing care to meet the unique needs of each patient. Nelly is a strong proponent of preventative care and takes great pride in educating patients about their ocular health. Outside of the office, Nelly enjoys traveling, exploring Chicago’s diverse culinary scene, and spending time with her husband and two children. 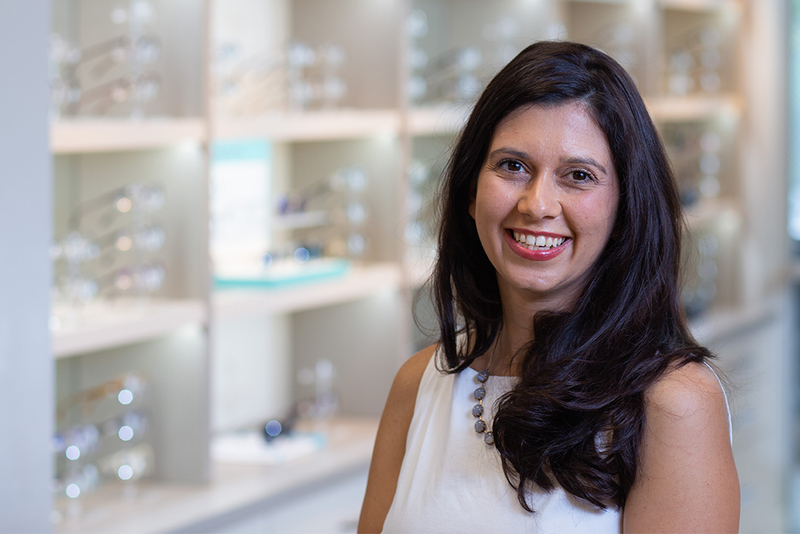 Born and raised in Cleveland, Ohio, Dr. Namrata (Nimi) Shah earned her Bachelor’s and Doctorate of Optometry degree at Ohio State University. With a passion for learning, she went on to complete a residency specializing in ocular disease at the Cleveland VA Medical Center. In her spare time, when she’s not perfecting vision, she likes to check out Chicago’s food festivals, go for a run on the lake, and travel the world. Since moving to Illinois from Wisconsin over 20 years ago, Neil Boldus has proudly adapted to becoming a Chicagoan. When he’s not busy bringing vision to the masses, Neil works on his golf game, but never seems to improve. 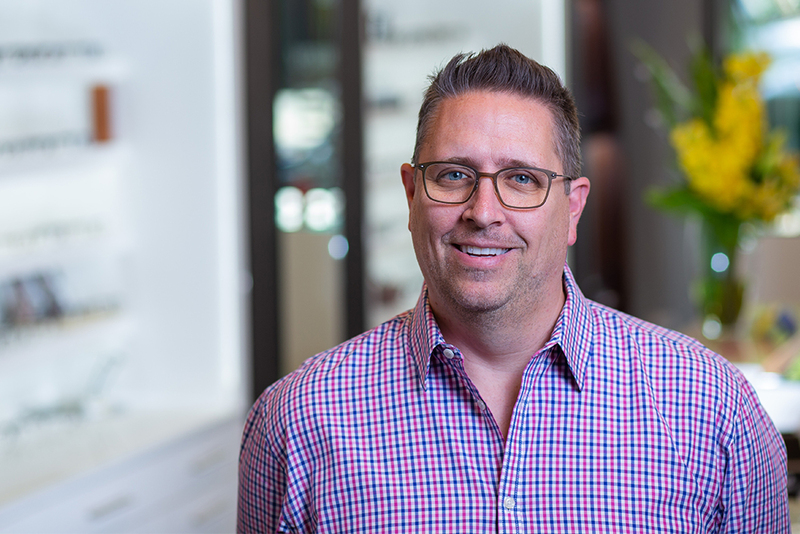 As a Doctor of Optometry, Neil has a knack for difficult contact lens fits, taking the time and care to improve your vision. He realizes that not all eyes are created equal and will faithfully match your eyes with the correct product. His best tip for your eyes? Wear sunglasses. They protect your eyes and the face around them from damaging UV rays. They’re not just for being cool. 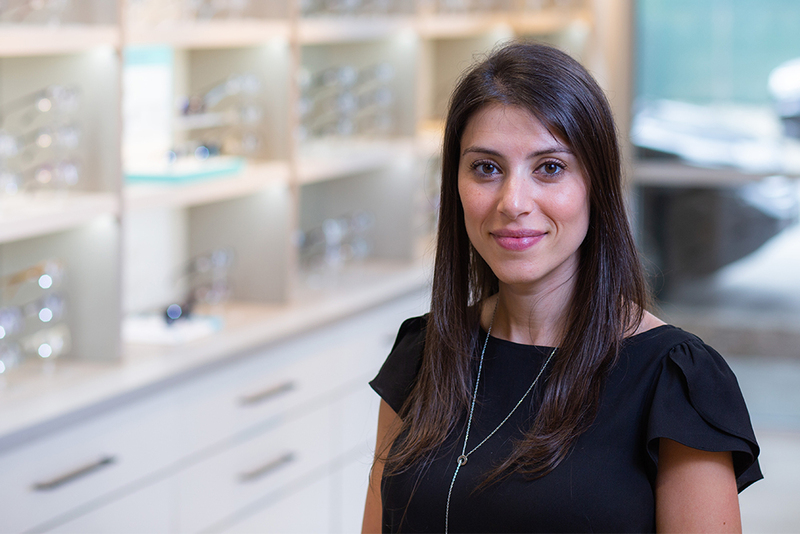 Helen Tzanetakos has called Chicago home for over 20 years and always made it her goal provide eye care here. Helen wants the world to see you as clearly as you’ll see the world. It’s her ability to connect with patients and to form lasting relationships that she excels in as a Doctor of Optometry. 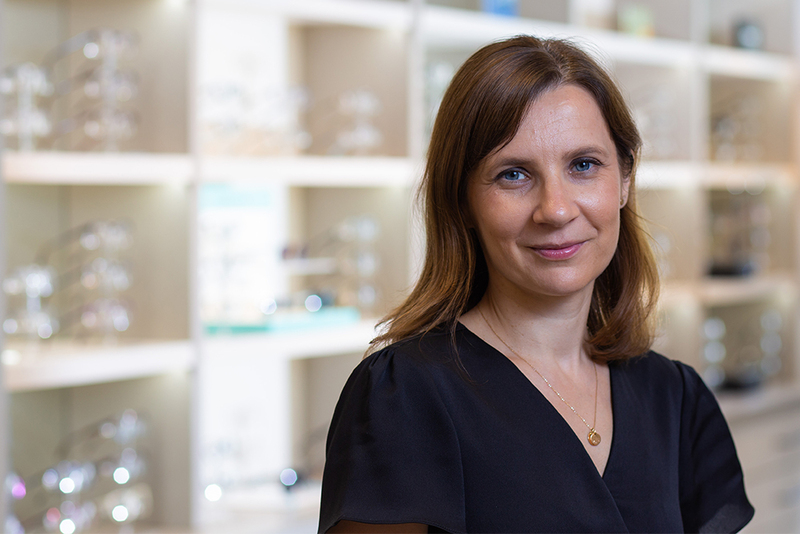 At Vision Boutique, it is Helen’s personal mission to keep your eyes as fashionable as they are clear-sighted. Her best tip for your eyes? Computers cause most contact lens wearers dryness and discomfort. Get your eyes checked every year to make sure you have the best contacts and glasses for the job. Born and raised in Krakow, Poland, Malgorzata Kiwacz has made Chicago her home since she was 13. Now, if she isn’t out biking, she’s busy making sure Chicagoans get a picture perfect view of the world. Margaret became a Doctor of Optometry because, in part, she enjoys Pediatrics and working with children. Her best advice is to get kids to have their first eye exam when they can reliably read the alphabet. Being proactive with children will help them be better prepared for the stress their eyes will endure as they enter the wired classroom and beyond. West Loop Eye Care has served the local community for many years, helping people in the area maintain great eyesight. Our vision and mission are to ensure that you have an optimal vision to enjoy your lifestyle to the fullest. Through years of education and hands-on experience, we have created a trusted resource to assist with any eye care challenges you might be facing. Our team is known for the quality care and personalized services offered to every patient. The office is designed with comfort in mind while incorporating the latest technology advances in the industry. Rest assured that a visit to our office will help you look and feel great. You’ll leave with your head held high knowing that you see better and you love the appearance of your new glasses. We are working to build relationships with every family. There’s no reason to feel like you are a number on the chart when you are working with a team that truly cares about your health and wellness. We offer the time and attention you deserve, giving you access to an experienced staff that is always available to answer your questions and offer personal recommendations. What’s your preferred style for frames and sunglasses? Visit our office to view the wide range of frames and vision correction products that are available. Our eye doctors in Chicago have selected some of the most stylish products, giving you access to the perfect accessories. Not only will these products improve your vision, but you can have fun being trendy and stylish at the same time. These designer frames incorporate the latest colors and shapes to help you stay fashionable wherever you go. You’ll find that these products are priced to match every budget. We have everything from basic products to high-end designer styles. These products are priced competitively, giving you great value for the money that is spent on eye care and vision correction lenses. In our office, we provide frames for men, women, and children. Other specialty products are available for specific circumstances. For example, you might choose reading glasses, sports lenses, or safety glasses depending on your needs. 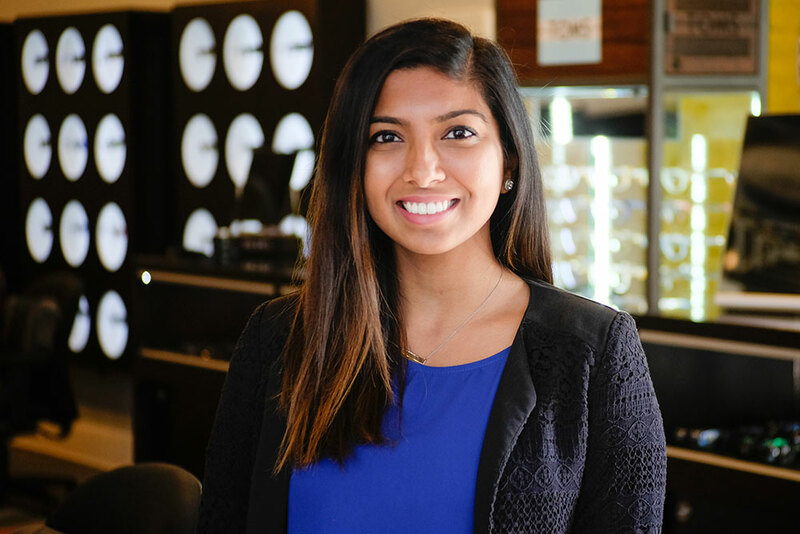 At West Loop Eye Care, our goal is to assess your lifestyle and help you find the eye care products to match your requirements. We want to help you maintain clear vision and healthy eyes in all daily activities. Regular eye exams are essential so that you can maintain the best vision correction to optimize your eyesight. But, our eye doctors in Chicago go above and beyond to make sure that we are supporting your overall health. These exams are necessary to not only evaluate your prescription needs; we also complete other health assessments to identify early signs of eye disease and other health issues. We offer a wide range of services that are needed for your eye care. It is best to start with a comprehensive eye exam. Then, we will make recommendations based on your circumstances for contact lens fittings, additional testing, eyeglasses, and more. West Loop Eye Care is here to serve every member of your family. We offer everything that is needed for your eye health, including vision correction lenses, diagnosis of eye diseases, treatments for eye diseases, and more. We understand the importance of early detection to ensure timely treatments. So, we always encourage our patients to maintain a consistent schedule of eye exams and regular conversations with our team of eye doctors in Chicago. Our professional environment makes it a pleasant experience from the moment you walk through the door. Every member of our staff is working hard to create an inviting space where you are comfortable asking questions and learning more about the treatment options that are available to support your eye health. One of the benefits of choosing West Loop Eye Care is the personal attention you receive. We discuss your symptoms and concerns, listen to your needs, and help you identify the right pathway forward to maintaining a lifetime of healthy vision. It’s a priority for our team of eye doctors in Chicago to stay ahead of the advances in the eye care industry. We are proactive with ongoing education and learning. Additionally, we’ve invested in the best equipment and technology to help with diagnosis and eye care treatments. We believe that every patient should receive the best services, so we are always looking for ways to improve your experience. When you choose West Loop Eye Care, you can trust that the services are offered by some of the best eye care professionals in the Chicago area. We’re here to help with everyday eye care needs, emergency services, and more. If you have questions about supporting your eye health or the needs of your family members, then don’t hesitate to pick up the phone or use our online booking form to schedule an exam. Our team is always available to answer your questions and help you identify the best solutions for your needs. We offer treatments for children, adults, aging adults, and more. Contact us any time to learn more about the services that are offered.